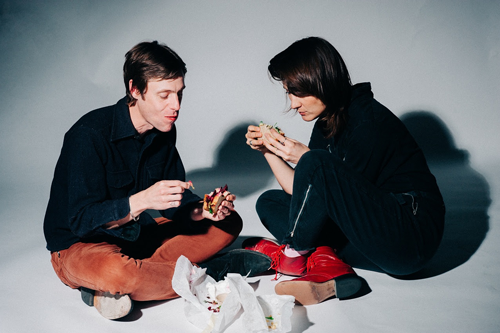 DRINKS is the new project from Cate Le Bon and Tim Presley (White Fence), whose album Hermits On Holiday will be released 21st August on Heavenly Recordings. The first release is the album's quirky title track "Hermits On Holiday" and you can watch the grainy VHS-looking video below. Directed by Tim Presley and Cate Le Bon.